I’ve been trying out savoury recipes for gooseberries lately and have discovered some real gems. This sauce with sage goes well with pork, making a refreshing alternative to apple sauce. Put the gooseberries in a pan with the sugar. If using fresh berries, add a tablespoon of water; frozen ones will not need any extra liquid. Bring to a simmer and cook gently, stirring from time to time, for 10-15 minutes, until you have a pulpy sauce. Stir in the sage, then leave to cool. Taste and add more sugar if need be, but try to keep it nice and tart. 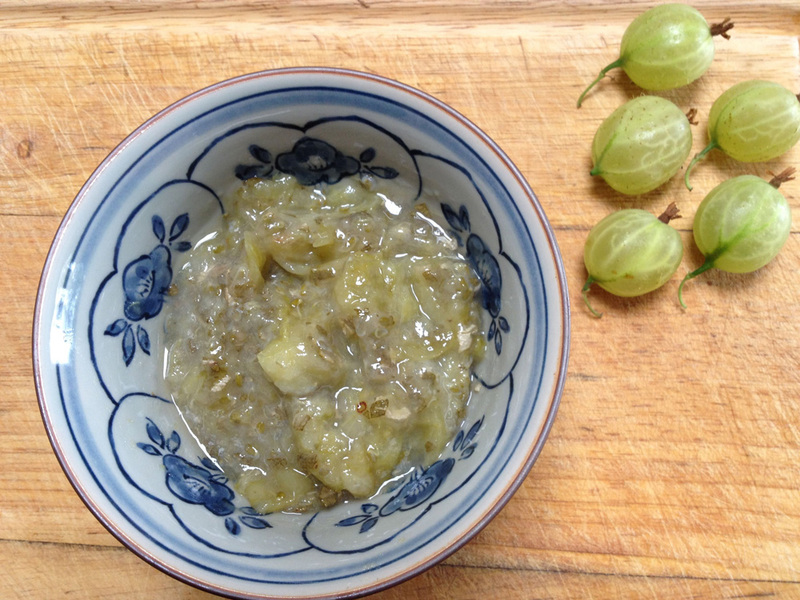 This is one of three HughFearnley-Whittingstall seasonal recipes celebrating the gooseberry. Thanks to Anne Price for cooking and photography.